Mr. Reshadur Rahman is a prominent industrialist in Bangladesh. As a successful business entrepreneur, he has many achievements to his credit. His able leadership has become more vibrant in banking where Dhaka Bank is an epitome of his continued success. Mr. Rahman is now leading the Bank as Chairman. He was elected the Chairman of the Board of Directors in the 243rd Meeting of the Board of Directors of Dhaka Bank held on May 13, 2015. He was also the Chairman of the Board of Directors during the tenure 2010-2013. Having accomplished his graduation, Mr. Rahman resolved on making a start in the line of business and succeeded in new ventures one after another over more than three decades of his career. His business grew as an enormous group and diversified into numerous worthy areas. He is also the Chairman of RR Aviation Ltd., Trade Hub Bangladesh Ltd. and Dhaka Bank Securities Ltd.; Managing Director of RR Holdings Ltd.; Proprietor of RR Trading & Co., RR Shipping Lines, RR Architecture & Engineering Co. and National Traders; and Shareholder of Alliance Deep Sea Fishing Ltd., Alliance Bags Ltd., Quality Breeders Ltd. and Quality Grains Ltd.
Mr. Reshadur Rahman has membership in professional organization namely Dhaka Chamber of Commerce & Industry and all elite clubs in Dhaka and Chittagong. He is equally active in many community development and social services programmes. Time and again, he has remained an honourable Donor to BIRDEM Hospital, Cancer Hospital, SEID Trust and a good number of educational institutions. He has been the honorary Consul of the Republic of Poland in Dhaka since 31 August 2008. Mr. Md. Amirullah is a seasoned businessman in the country. He has considerable experience in business extending over above 48 years. His long attachment and commitment to business is something worth considering in the pace of economic development of the country. He started young in business and ended up with many achievements to be proud of. He is one of the pioneers in Bangladesh to initiate export of Video Cassettes worldwide. There is high recognition to his credit as a large exporter of chemicals in the international market. He had long been associated with Cargo Businesses in Bangladesh. He is one of the Directors of Dhaka Bank Investment Ltd.
Mr. Amirullah associated himself with banking entrepreneurship as a Sponsor Director of Dhaka Bank. He still continues with the Bank as Director and has retained his position for several terms after required intervals. He is now the Member of the Executive Committee of the Board. He has also widened his contribution to education setting through up a university in Dhaka. He has life membership with almost all elite clubs. Mr. Abdul Hai Sarker is the Founder Chairman and one of the most experienced Board Members of Dhaka Bank Limited. He was the key architect to set the pace of this great corporate voyage for excellence. Today’s Dhaka Bank manifests his crusading zeal for a sound banking institution that would be a shining example for all and the best choice of the new generation. Most importantly, he is a big name in the domain of business and industry. He led the Bank as a Chairman for several times. He is now the Chairman of Executive Committee of the Board. Born in a respectable Muslim family of Sirajgonj District, Mr. Hai accomplished his Post Graduation Degree (M.Com.) from the University of Dhaka in 1970. Soon he involved himself in international trade & business and became a reputed industrialist in the country. His sincere effort and dynamic leadership culminated in a large business conglomerate in the name of Purbani Group. He is the Chairman & CEO of Shohagpur Textile Mills Ltd. & Purbani Synthetic Spinning Mills Ltd., Purbani Fabrics Ltd., Karim Textile Ltd., Karim Spinning Mills Ltd., Purbani Yarn Dying Ltd., Purbani Agro Processing Ltd., Purbani Rotor Spinning Ltd. and Purbani Fashions Ltd.; Proprietor of Purbani Traders and Purbani Fisheries and Director of Dhaka Bank Securities Ltd. He is also the Chairman of Education, Science, Technology and Cultural Development Trust (ESTCDT) of Independent University, Bangladesh (IUB). Mr. Abdul Hai Sarker is the former Vice Chairman of Bangladesh Association of Banks (BAB), the former President of Bangladesh Textile Mills Association (BTMA) and a former Director of Federation of Bangladesh Chamber of Commerce and Industries (FBCCI). Mr. Hai is the Founder Trustee of Independent University, Bangladesh, Founder Member of the Board of Trustees of Bangladesh Enterprise Institute (BEI) and was an Associate Director of International Cotton Association based in Liverpool, UK. Besides being a leading business personality, he has been playing commendable role in social welfare and community development. Many organizations have awarded him for his outstanding contribution to the society. He has also been accorded Commercially Important Person (CIP) status by the Government. Mrs. Rokshana Zaman is an experienced business person and a prominent woman entrepreneur in the country. She has exposure in the line of business for more than 17 years. She is the Proprietress of Dhaka Enterprise, a reputed business firm in Bangladesh and M/s. Manehor Fisheries and Director of Dhaka Bank Securities Ltd.
Mrs. Zaman first involved herself in banking business as an Alternate Director of the Bank back in 1996. Subsequently she was appointed a Director on June 29, 2004. She became the Chairperson of the Board of Directors on June 29, 2004 and continued her tenure till March 28, 2006. She is now a Member of the Audit Committee as well as Risk Management Committee of the Board. Since long, she has been associated with various CSR initiatives. A seasoned industrialist Mr. Altaf Hossain Sarker is an admired name in the arena of business in Bangladesh. His brilliance and business foresight has added a new dimension to the industrial revolution in Bangladesh. As his brainchild, many enterprises are there to be named, which in turn have become a change maker not only in the heartland of Sirajgonj where he was born but also around the country as a whole. In his mid twenties, he started off as a businessman with an academic accomplishment of Bachelor of Commerce (B.Com.). The following years saw his sparks of business growth in diversified areas of business. Mr. Sarker is the CEO of Rahmat Group, a renowned business conglomerate. He is the Chairman of Rahmat Spinning Mills Ltd., Belkuchi Spinning Mills Ltd., China Plastic (BD.) Ltd., Rahmat Plastic and Accessories Ltd. and Rahmat Rotors Ltd.; Managing Director of Rahmat Textiles Ltd. and Rahmat Knit Dyeing & Finishing Ltd.; Director of Rahmat Fashion Wear Ltd., and Dhaka Bank Securities Ltd. and Advisor of Logos Apparels Ltd. Textile and Garment products under Rahmat Group have captured an international market. Most importantly, many of his products have become a part of our everyday life being excellent items for clothing and adornment. 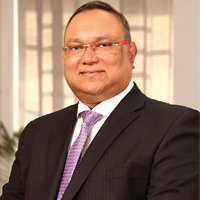 Mr. Altaf Hossain is now Director of Dhaka Bank and also a member of Executive Committee and Risk Management Committee of the Board. He is also a sponsor shareholder of the Bank that began its banking operation in 1995. Earlier, he led the Bank as Chairman being elected in the 134th Board Meeting held in April, 2008. His interest has an extra focus on education and social organizations. He is a Member Trustee of Independent University, Bangladesh (IUB) and Director of Bangladesh Textile Mills Association (BTMA). Mr. Sarker is founder Member of Board of Trustees of Dhaka Bank Foundation. Besides, he is a regular sponsor to different social activities, honourable Donor to BIRDEM Hospital, Cancer Hospital, SEID Trust and a good number of educational institutions. An experienced businessman Mr. Mohammed Hanif is a renowned industrialist in the country. He has made remarkable contribution towards business and banking in Bangladesh. The seasoned industrialist has a business career that extends over as long as 53 years. He is the Managing Director of Hanif Steels Ltd., Hanif Spinning Mills Ltd. and National Foundry & Engineering Works (Pvt.) Ltd.
Mr. Hanif is a Sponsor Director and one of the long serving Board Members of Dhaka Bank Limited. He was elected the Vice Chairman of the Bank in the 134th Board Meeting held in April, 2008. He was first appointed as a Director of the Board on April 6, 1995. He is also a Founder Member of the Board of Trustees of Dhaka Bank Foundation and an erstwhile member of Audit Committee of the Bank. He is associated with different socio-cultural activities. Mr. Abdullah Al Ahsan, Director of Dhaka Bank has a prolific business background. For more than 32 years, his contribution to industry and commerce has remained vibrant. Academically he has completed M.Com. He is also a Sponsor Director of Dhaka Bank. His first appointment as a Director took place in April 6, 1995. As a business entrepreneur, he has made worthy contribution to Agro Industry, well-recognized as a thrust sector in Bangladesh. He is the Director of Aroma Poultry and Aroma Fisheries Ltd. He has widely travelled across the globe on business trips. He is associated with Gulshan Club, Chittagong Golf & Country Club and Chittagong Seniors Club Ltd. He was pro-VC of USTC. A passionate entrepreneur and a perceptive businessman, Mr. Khondoker Monir Uddin is a Director of Dhaka Bank Limited. He is also one of the admired Sponsor Directors who envisioned Dhaka Bank as a house of corporate excellence. He is now the Chairman of the Risk Management Committee of the Board. Born and educated in Dhaka, he obtained B.Com. (Hons) and M.Com. degree from the Department of Accounting, University of Dhaka. On achieving academic feat, Mr. Monir set out his venture in business in 1985. The succeeding years saw his scintillating entrepreneurship in diverse fields of business spanning Readymade Garment (RMG), Real Estate, Chemicals, Business Equipment & Machine Supply, Banking, Health Care, Education and Brokerage Services, etc. With his visionary and proven business record, Mr. Monir has acquired a good entrepreneur image in the country. He puts indelible mark of perfection in whatever areas he works. For example, with his visionary leadership and keen business knowledge, Shanta Holdings Limited, a powerful portfolio of the country’s most distinctive and selective developments, drives forward to demonstrate unparalleled foresight by developing projects which are the epitome of modern architecture and comfortable living. He is the Managing Director of Shanta Apparel Ltd., Shanta Medical Centre Ltd., Universal Business Machines Ltd., STS Holdings Ltd., Shanta Holdings Ltd., GDS Chemical Bangladesh (Pvt.) Ltd. and Shanta Securities Ltd.
To fulfil various priority needs of the people, Mr. Monir pioneered in different services of international stature. Among such enterprises, prominent are Apollo Hospitals, Dhaka, the only US-JCI accredited hospital in Bangladesh, International School Dhaka (ISD) and Delhi Public School (DPS) in Dhaka and other important cities in the country. Mr. Khondoker Jamil Uddin is a Director and one of the long serving Board Members of Dhaka Bank Limited. He is also a Member of Executive Committee of the Board. Born in a respectable Muslim family in Dhaka, Mr. Jamil accomplished his B.S.S. (Hons), M.S.S. and MPhil from the Department of Sociology, University of Dhaka. He embarked on business in 1995 and the later years proved most prolific earning him the reputation of a distinctive industrialist in Bangladesh. His sincere effort and dynamic leadership culminated in a large business conglomerate in the name of Shanta Group and other renowned business houses. He is the Chairman of JAAZ Concerns Ltd., Executive Attire Ltd., Green Field Tea Estate Ltd., OK Mobile Ltd., Dhaka Bank Investment Ltd. and Shanta Garments Ltd.; Director of STS Holdings Ltd., GDS Chemical Bangladesh (pvt.) Ltd., Universal Business Machines Ltd. and Citizen Securities Ltd. and Sponsor Director of Apollo Hospitals Dhaka Ltd., International School Dhaka., Delhi Public School and STS Education Group Ltd.
Alongside business, he is associated with many social, trade and sports associations. He is a Life Member of BIRDEM. He is the General Secretary to Bangladesh Hockey Federation, Vice President of Bangladesh Olympic Association, President of Bangladesh Rugby Association and Vice President of Dhaka Mohammedan Sporting Club. His excellence in social welfare reached its height when he established a charitable clinic in Ashulia namely CWCH where presently he is the Vice Chairman. Mr. Tahidul Hossain Chowdhury is a sponsor Director and one of the long serving Members of the Board of Dhaka Bank Limited. He is now holding the position of Director of the Bank. He is also a Member of the Audit Committee of the Board. His first appointment as Director dated April 6, 1995 while his last re-appointment took place on May 11, 2009. Academically, he is a Bachelor of Arts and his professional experience in business extends over more than 38 years. Mr. Chowdhury has earned a name as a prominent business personality in the country having stakes in diverse fields of business. He is the Chairman of Riotex Ltd. and Jerat Shirt Ltd.; Managing Director of Jerat Fashion Ltd. and Hotel Victory Ltd. and Director of Central Hospital Ltd., HURDCO International School and Dhaka Bank Investment Ltd. Besides, he is well-connected to various social initiatives and has a good travel record around the world on business and personal trip. Mr. Jashim Uddin, Director of Dhaka Bank Limited is a prominent businessman of the country. He is also a Sponsor Director of the Bank. Academically, he is a Bachelor of Arts and by profession he is an established businessman having more than 33 years of experience. He is involved in myriad fields of business comprising Banking Services, Insurance, Stock Brokerage, HR Development, Trading and others. He is now the Chairman of Impel Shares & Securities Ltd.; Director of HURDCO International School and Proprietor of Rafid Enterprise and Shareholder of Dhaka Imperial Hospital Ltd. Widely travelled, Mr. Jashim is involved with many social and educational initiatives and earned recognitions from a number of organizations. He is Life Member of Bhatiary Golf and Country Club, Red Crescent Society, Kidney Foundation, Chittagong and Diabetic Association, Chittagong. As a Donor Member he has contributed to a number of schools and colleges. Mr. Amanullah Sarker is Director of Dhaka Bank Limited. He was appointed a Member of the Board of the Bank with effect from April 18, 2013. Having an excellent business background for 27 years, he is associated with Rahmat Group, a renowned business group which is one of the leading manufacturers of textiles, spinning, weaving, plastic and accessories in the country. Mr. Sarker was born on 18th May 1964 and belongs to a respectable Muslim family. He is the son of Alhajj Mohammad Ali Sarker and Mrs. Amina Khatun. Academically he has pursued B.A. (Hons) and M.A. degree at the University of Dhaka. Having accomplished his academic feat, he set out as a promising business entrepreneur in the eighties. Over the next two decades, his career grew on his continuous success leading up to the formation of Rahmat Group. He is the Managing Director of Rahmat Spinning Mills Limited, Chairman of Logos Apparels Limited and Director of Rahmat Textiles Ltd., Belkuchi Spinning Mills Ltd., China Plastic (BD) Limited, Rahmat Sweaters (BD) Limited. Besides business involvement, Mr. Amanullah Sarker has made worthy contribution to the society and public welfare. A young entrepreneur Mr. Mirza Yasser Abbas is the Director of Dhaka Bank Limited. He is also a Member of Executive Committee of the Board. Mr. Yasser has an excellent academic record. He has accomplished his International MBA from Arcadia University, PA, USA and earned worthy expertise on business management affairs. He has been associated with Mirza Enterprise and family business over the last 15 years. He is the Chairman of LOUD Limited, Managing Director of Predictable Process Limited. He is also the Director of Dhaka Bank Investment Ltd.
Mr. Yasser Abbas was appointed Member of the Board of Directors of Dhaka Bank on May 3, 2012. Since his joining, he has been spearheading many development and restructuring initiatives in the Bank on behalf of the Board. Apart from business, he has considerable social affiliation. He is an Associate Member of Gulshan Club, Dhaka. He has travelled widely across Asia, Europe and North America on business and personal trips. With a compassion for the underprivileged, he is involved in various philanthropic works in the community. Mrs. Manoara Khandoker has been nominated as Director of Dhaka Bank Limited in June 2018. Born in Cumilla, she completed her Bachelors of Arts Degree from Cumilla Government Women’s College. Mrs. Khandoker is one of the pioneers in Shopping Bag Industry in the country. She is the Proprietress of M/S Bari and Pack Plast Limited, Rajarbag, Dhaka, since 1998. She is also a Director of M/S Total Pack and Packaging, a concern of Bari Group of Companies, which came into operations in 2014 as the only manufacturer of Stretch Wrap Film in Bangladesh. Mr. M. A. Yussouf Khan is a seasoned banking expert and held the office of the Chief Executive Officer consecutively for three leading private commercial banks from 1989 to 2004. He started his career with National Bank of Pakistan in 1960. He served Eastern Banking Corporation (later renamed as Uttara Bank), Pubali Bank and United Commercial Bank. In 1989 Mr. Khan joined the City Bank as its Managing Director and led the bank to a breakthrough success. Later he led UCB as its President and Managing Director. In 1999 he led the formation and commencement of the Premier Bank and served as its founding Managing Director. Mr. Khan was Chairman of BAFEDA for two terms. He has received many awards. As a philanthropist, he is associated with a number of social and charitable organizations. Mr. Md. Muzibur Rahman was an Official of Bangladesh Government where he served for more than three decades.Joined Directorate of Agricultural Marketing in 1968 as a Research Officer. Then he moved to Ministry of Planning and served other Ministries too. He retired in 2002 as Joint Chief of the Ministry of Planning. Made Economic & Financial Analysis; Monitoring & Evaluation of Projects, Periodical Review of implementation of Projects with Government of Bangladesh and Asian Development Bank.Prepared Annual Development Plan and 5-year Plan of Ministry; Working Paper and Summary of Projects for Executive Committee of the National Economic Council [ECNEC] etc. ; and also ones for the Approval of the Minister. Attended a number of Local and Foreign Trainings on advanced Issues e.g. Development Project Management in Indonesia [sponsored by ESCAP]; Structual Adjustment and Poverty [IMF S’pore RTI] etc. Prepared many an important Reports e.g. Country Report on Economic & Human Resources Development of Bangladesh for a Seminar at Hankuk University of Foreign Studies, Republic of Korea. Did his MA in Economics from the University of Dhaka; and MSc in Agricultural Economics at University of London, UK. Mr. Ahmed joined the then EPIDC as Chemist in 1967 and became General Manager [Project Head] in 1973. He served as Project Head of different Sugar Mills under Bangladesh Sugar and Food Industries Corporation [BSFIC] for 17 years. Moreover, he was Secretary of BSFIC for 3 years. The other important posts he held there were Director Marketing, Director Planning, and Director Production & Engineering. Before retiring in February 2000, he became Chairman of BSFIC. Mr. A.S. Salahuddin Ahmed completed his M.Sc. in Chemistry from University of Dhaka, Bangladesh. Mr. Ahmed did his Post Graduate Diploma in Management from RVV, the Netherlands; and received Training on Management both inside and outside the country. He attended Training on Corporate Accounting at Institute of Business Administration, University of Dhaka. Mr. Ahmed is involved in many acclaimed Social Activities. He held many positions like the District Governor, District-315B1, Lions Club International, Member, Board of Governors of Bangladesh Institute of Chemists & Chemical Technologists and so on.